KNOXVILLE, TN and NATIONAL HARBOR, MD--(Marketwired - December 05, 2016) - As winter approaches and baseball's Hot Stove season heats up with major announcements, BUSH'S® Beans and Minor League Baseball® (MiLB™) today unveiled a multi-year, strategic partnership, making it the "Official Beans of Minor League Baseball," and a "Preferred Partner" of a number of MiLB teams, beginning in 2017. Bush Brothers & Company is the recognized brand leader in baked beans and other prepared bean products. Minor League Baseball, headquartered in St. Petersburg, Florida, is the governing body for all professional baseball teams in the United States, Canada, and the Dominican Republic that are affiliated with Major League Baseball® clubs through their farm systems. Fans are coming out in unprecedented numbers to this one-of-a-kind experience that can only be found at Minor League Baseball ballparks. In 2016, Minor League Baseball attracted 41.3 million fans to its ballparks to see the future stars of the sport hone their skills. From the electricity in the stands to the excitement on the field, Minor League Baseball has provided affordable family-friendly entertainment to people of all ages since its founding in 1901. 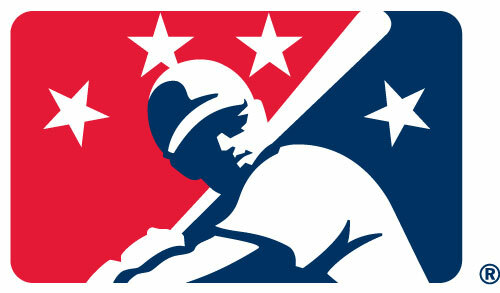 For more information, visit www.MiLB.com. BUSH'S® is all about friends & family, and a certain Secret Family Recipe. When you enjoy our beans (doesn't matter if they're baked beans, chili beans, black beans, pinto beans…well, you get the picture), you can trust that they're the very best. Because we wouldn't serve your family anything less. Since we got our start more than 100 years ago in Chestnut Hill, Tenn., BUSH'S® has always maintained that quality is the best policy. We pursue excellence and exceptional taste in our beans, sauces and everything we do. That's why, from mouthwatering Baked Beans & Chili Beans to satisfying bean recipes, you're cooking up the best with BUSH'S BEST®. For more information, visit www.bushbeans.com.